Porlezza is accessible by public transport but most tourists who get to the area drive there, either with their own cars or with a rental car they pick up at the airport. 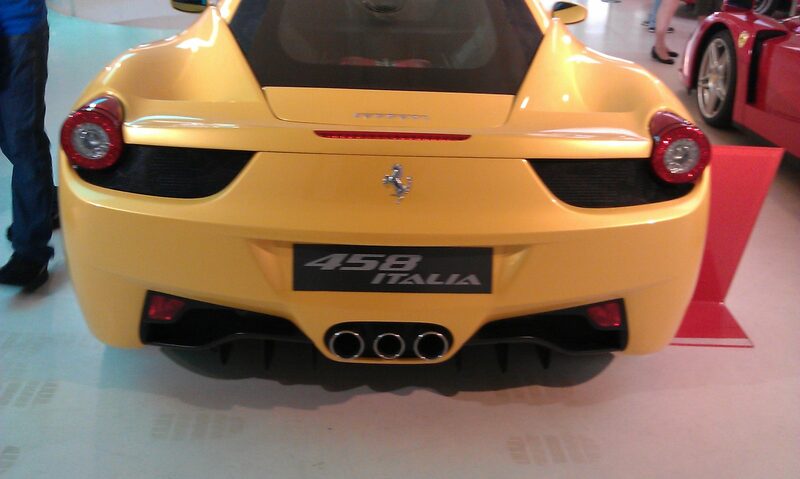 Now, you may have heard some horror stories about driving in Italy but not all of them are true. Still many tourists can’t decide whether or not to rent a car so here’s our two cents and some important information about driving in Italy and parking in Italy. First, you have to realize there is a big difference between the various areas in Italy. Just like the food and scenery change between one region to another, so does the driving. We’re focusing in this post on the north and specifically on the area of Porlezza – Lake Lugano and Lake Como. The proximity to Switzerland affects the driving as does the terrain. In fact, the drivers up there are some of the best we’ve ever seen. It’s as if the rough mountain terrain with the very narrow and winding roads forces them to drive with precision. That is not to say they drive slowly of course! They actually might even get annoyed with you if you drive too slowly but they are more patient than they are given credit for. While we realize for some people driving in a foreign country is intimidating we still recommend renting a car (or using your own if possible) when you get to the area. The reason being simple – there is just so much to see around here that you will want to have the means and time to get from place to place leisurely, without depending on ferry or bus schedules. You will also want to go off the beaten track and use the little country roads as they will get you to the most amazing places! What you have to remember about driving in Italy is – follow the rules, especially with regards to speed limits and parking! Italians are very strict with their speed limits, but you needn’t worry! They are very well organized and everything is marked clearly. You will always have signs telling you what the speed limit is, if you’re approaching a speed camera and there will even be electronic signs that measure your speed and let you know what it is. And seriously, when you’re on vacation you want to enjoy and see the views along the way on your drive so you’ll enjoy driving a bit more slowly anyway. Parking in Italy is another big deal. There is no shortage of it but it is rarely free and they are very particular about parking where it is allowed, for the time it is allowed and for the correct fee. In most places in Italy there are at least a few lots dedicated to “disco” parking. No, that’s not a new Italian dance… the Disco (or Disco Orario in its full name) is a little clock face like cardboard disc inserted into a blue plastic sleeve and attached to the front windshield of the car. 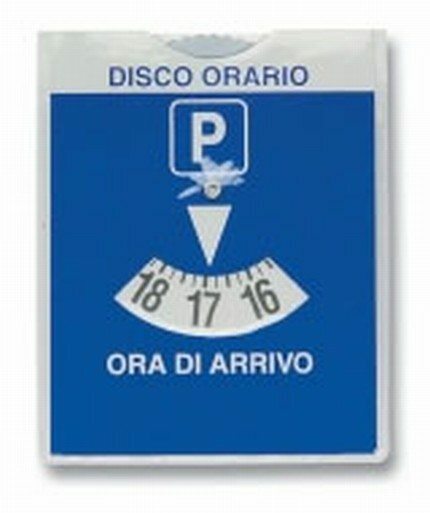 When you wish to park your car in a “disco” area (Zona Disco) all you have to do is rotate the disc to show the time of arrival (parking) and make sure you come back before it expires. Disco parking varies between 30 minutes to 4 hours and it basically lets you park for free – for that time. 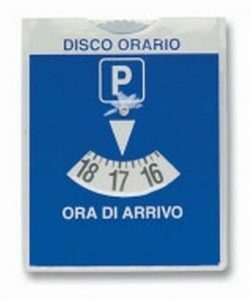 Parking lots which allow disco parking will have a sign marking the disco and indicating the time limit. We decided to write this post because we get a lot of questions from guests about arriving to Porlezza and where they can park. That said there are two good parking options within 1-2 minutes walking from the apartments. One parking lot is in front of the post office (right by the library’s public garden). This lot used to be a Disco zone but in 2011 the city made a change and now it’s blue parkings so you have to put money in the meter between 8am – 8pm. The other parking lot is right above this one (you drive to the end of that lot and turn right) and it is totally free! There is almost always parking there. Also, when you think about it, you’ll be spending most of your day out and away from the apartments travelling so you might as well park by the post office when you come back in the evening and just make sure to get up in time to put some coins in the meter before 8am. The distance between the apartments and the paid parking lot is about 2 minutes walk so you don’t even have to get up early! Additional paid (blue – meter) parking spaces are available by the lake along the promenade and by Bar Italia in a little parking lot there. Another totally free parking area is available just opposite Bar Italia on the old road to Cima. Thank you for the information! This is helpful for when I go to Italy next time!